As Say on Pay enters its third year, shareholders’ expectations are increasing along with the stakes for the professionals charged with helping their organizations achieve successful outcomes. 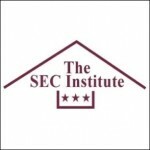 While others were enjoying the holidays, participants at the SEC Institute Executive Compensation Disclosure Forum in San Francisco and those attending by webinar spent a day drilling down to the details of executive compensation, led by Mark Borges, Principal of Compensia and chair of the Institute’s Forum. The former SEC special counsel in the Office of Rulemaking has encyclopedic knowledge of the issues and the challenges of executive compensation in a post-Dodd Frank world. Subtitled, “How Say on Pay Has Changed Everything,” Borges conducted the all-day seminar with the skill of a concertmaster in bringing in the perspective of faculty members including David Lynn, Partner at Morrison & Foerster former Chief Counsel for the SEC’s Division of Corporation Finance, his Compensia colleague Rebecca Busch, Cooley attorney Amy Cole and shareholder engagement strategist, Karen Kane. Eli Lilly and Company Assistant General Counsel, Bronwen Mantlo and Susan Hutchens, Eli Lilly Director of Executive Compensation provided real world commentary on best practices. Many participants reported that they had already started proxy preparations for 2013 with the seminar a stage-setting opportunity. Mantlo: “We convene a cross-functional team to manage the proxy process to bring the right communication focus to a plain English and readable proxy. 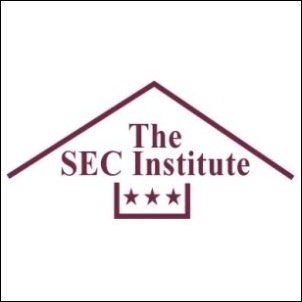 The SEC Institute is dedicated to helping public companies in the U.S. and abroad do the best possible job of meeting the filing requirements of the U.S. Securities and Exchange Commission. Check out their conference and workshop offerings.